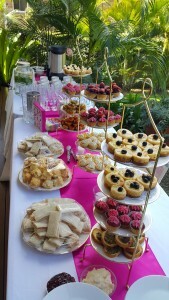 Please select up to a total of 10 menu selections for your High Tea event. We recommend 3 sandwich/ options, 1 pinwheel/wrap option, 1 petite savoury tart, 1 petite savoury option, 2 petite sweet , 1 sweet verrine (dessert pot) and 1 scone option however you may customise this if you wish. 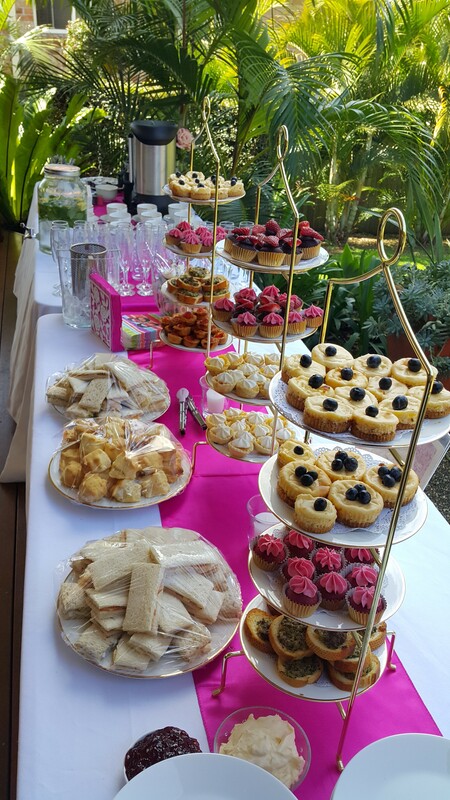 Please feel welcome to contact us if you have any unique high tea menu requests and we will do our best to accommodate you. Please also contact us if you have dietary requirements for your guests.